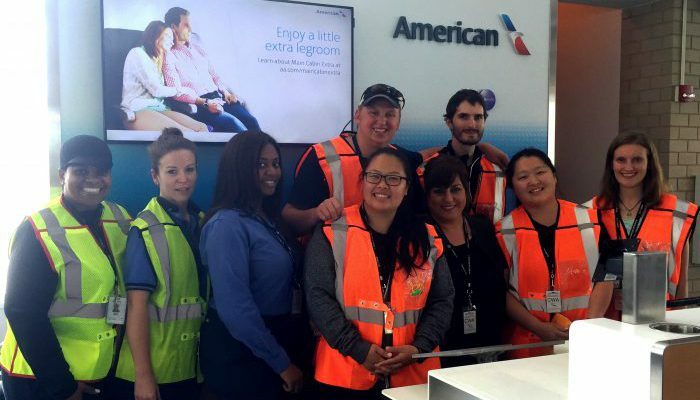 We’re excited to announce that American Airlines has recently awarded Envoy the ground handling business at three new stations – Detroit Metropolitan Airport (DTW), Central Wisconsin Airport (CWA) and Stillwater Regional Airport (SWO). The Envoy team in CWA started service in June, adding 20 new employees at the station (shown above). The work in DTW and SWO will begin in August. Interested in joining the Envoy team? See www.envoyair.com/careers and apply today! « Record-breaking E175 streak hits 8,000!